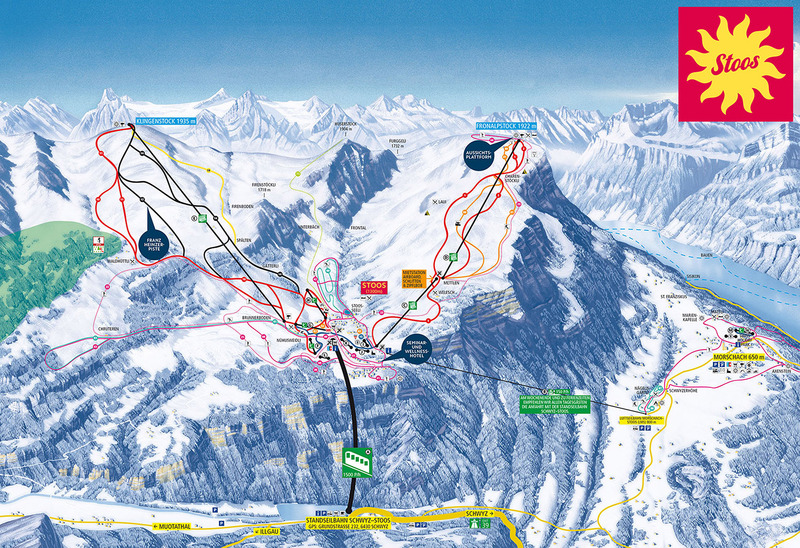 There is a great variety of skiing slopes in Stoos. Good skiers and snowboarders prefer the steep Franz Heinzer-slope. Families and children prefer the sunny slopes at mount Fronalpstock and the rather short und easy slopes at the t-bar lifts near the village. There are also prepared cross-country ski runs, sledding and airboarding runs, winter walking trails, a children’s ski paradise with magic carpet and snowshoeing trails. The view from the large, sunny terrace of the panorama summit restaurant on over 10 Swiss lakes is fantastic.